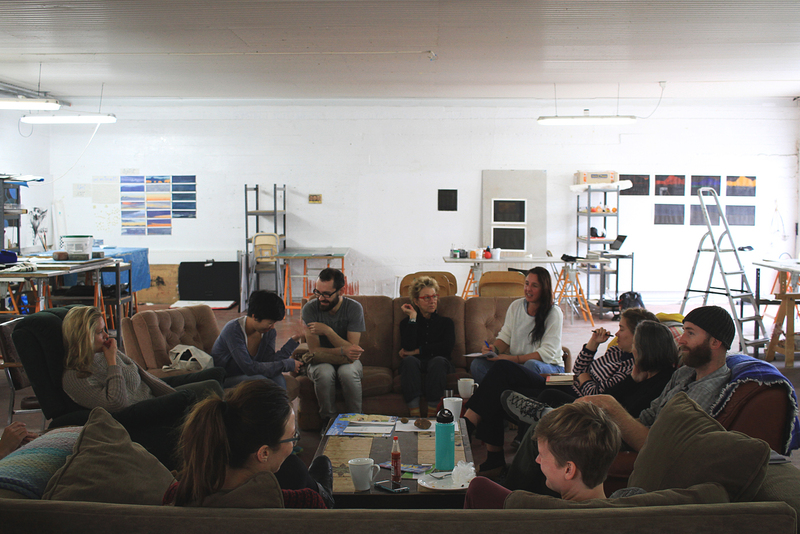 Everyone gathers on the studio couches to have a meeting to discuss our upcoming opið hús, or open house, which coincides with Skaginn Day. 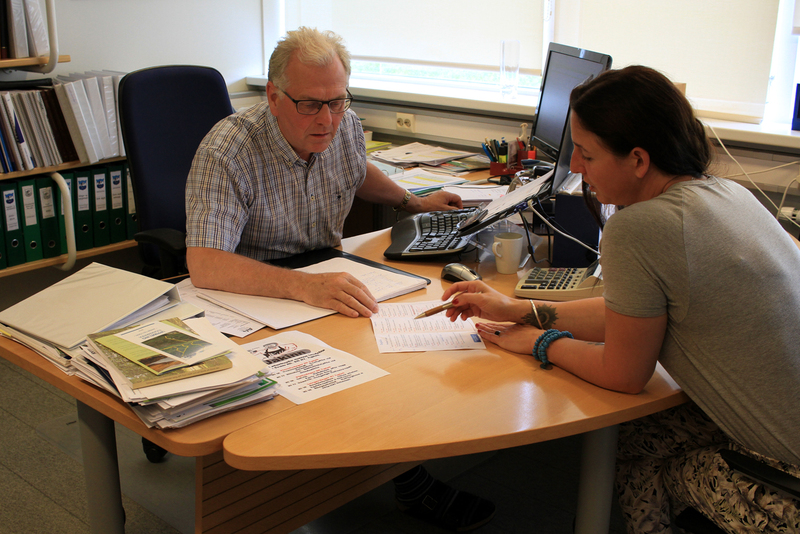 Kerryn and I met with with the mayor of Skagaströnd, Magnús B. Jónsson, to discuss plans for Skaginn Day. 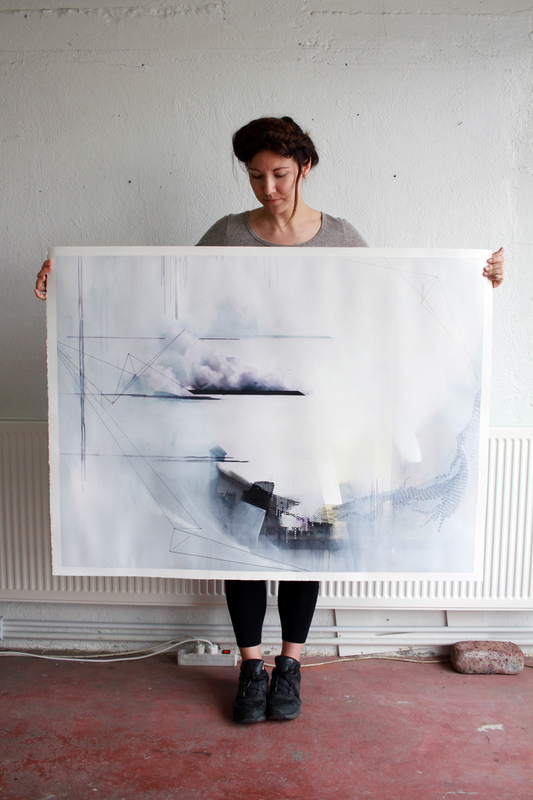 Lea shows off another completed painting against the wall of the studio. 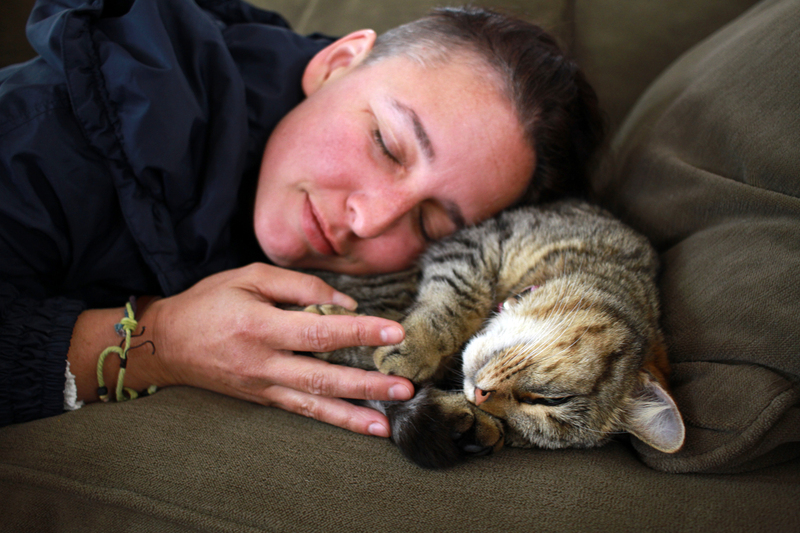 Kerryn and Líla sharing a nap in the studio. 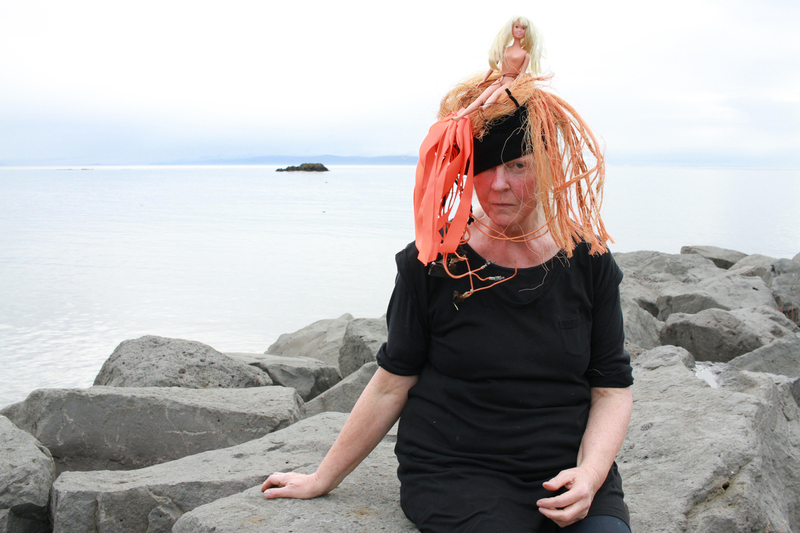 Mary, continuing her series of “hats”, shows off this creation outside the studio. Sunrise over Spákonufell – the changes of light on this mountain is something I never stop marveling at. 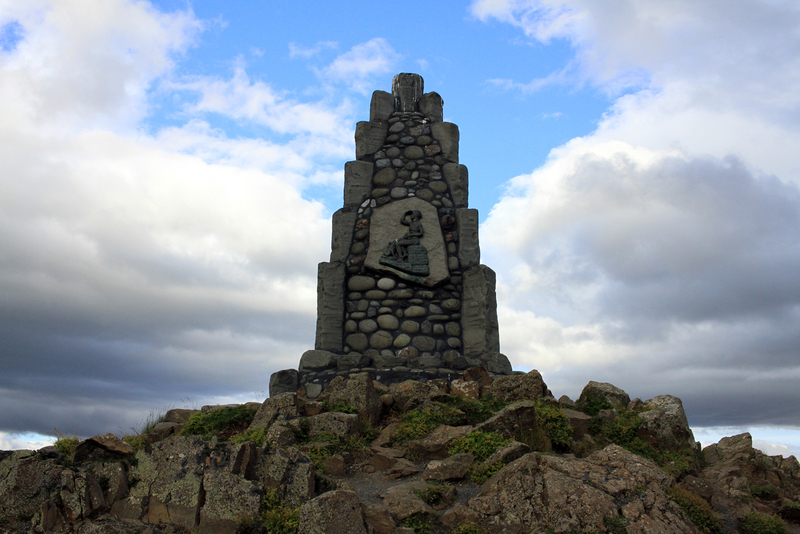 I took a small trip to Akureyri, the biggest city in Iceland after Reykjavík, and passed this monument to an Icelandic poet along the way. 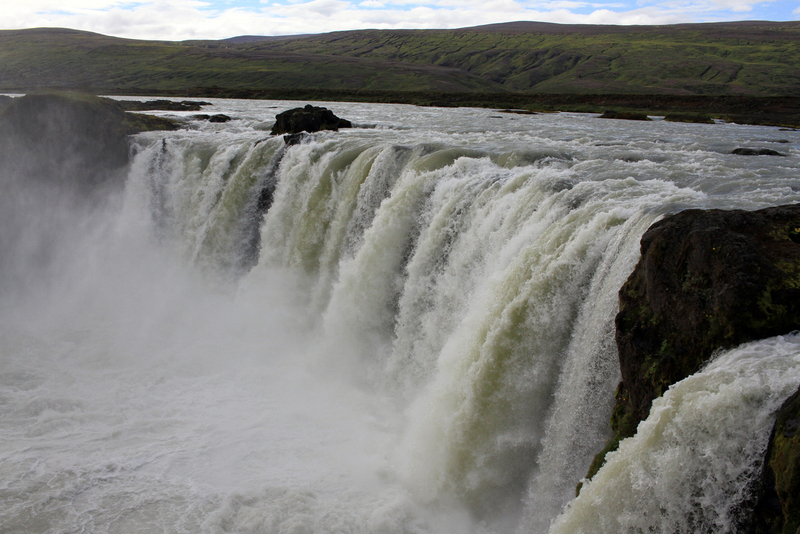 Goðafoss, or “Waterfall of the Gods”, where one of Iceland’s Parliament members famously threw his pagan statues into the water and declared Iceland a Christian nation. 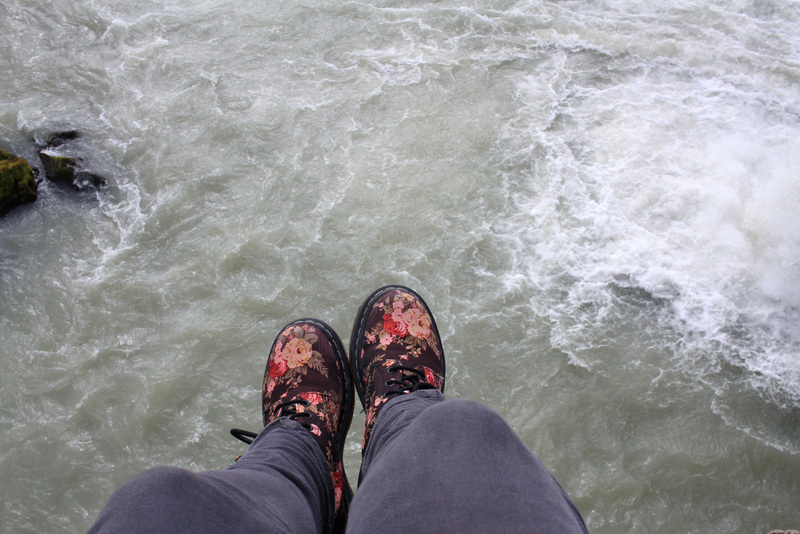 I am constantly shocked at the complete lack of supervision there is around dangerous natural landmarks such as Goðafoss, but it’s pretty cool to get this close. 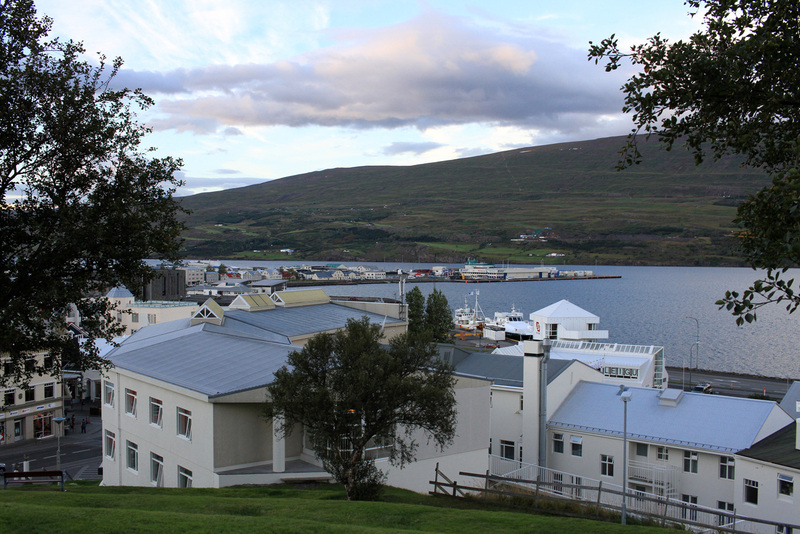 View of the Akureyri’s small harbor. 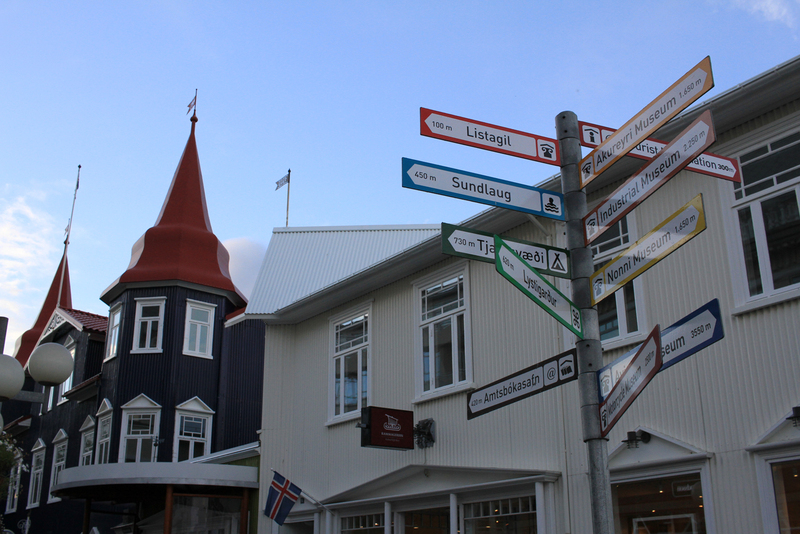 Signs in downtown Akureyri point to local points of interest. 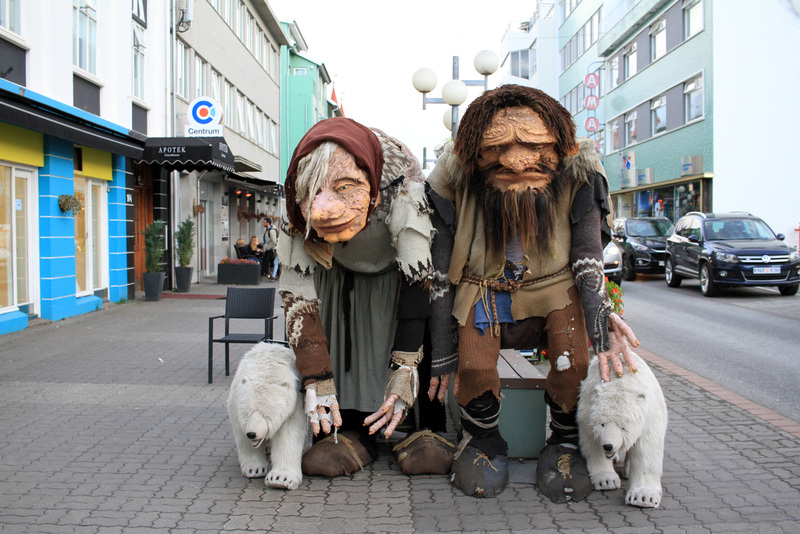 Iceland is rich in troll and giant lore, evidenced in these statues on the street in Akureyri – complete with pet polar bears for scale reference. 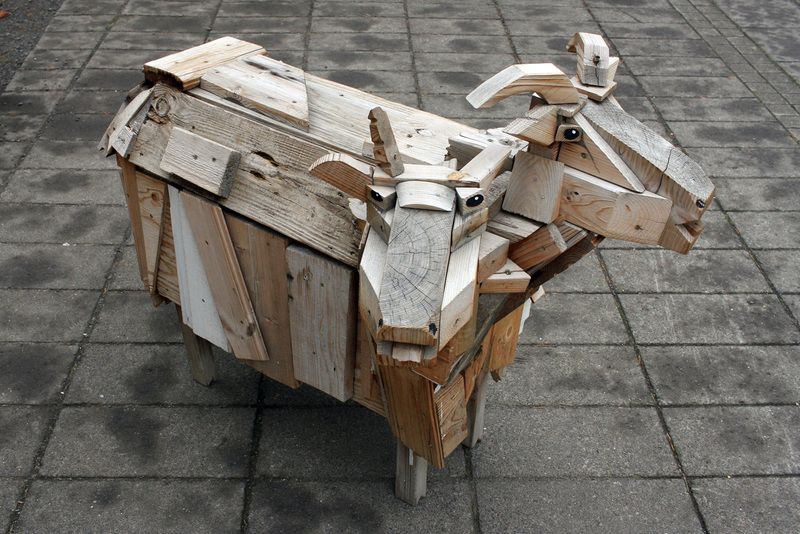 Some sheep-themed street art outside of Flora in Akureyri. 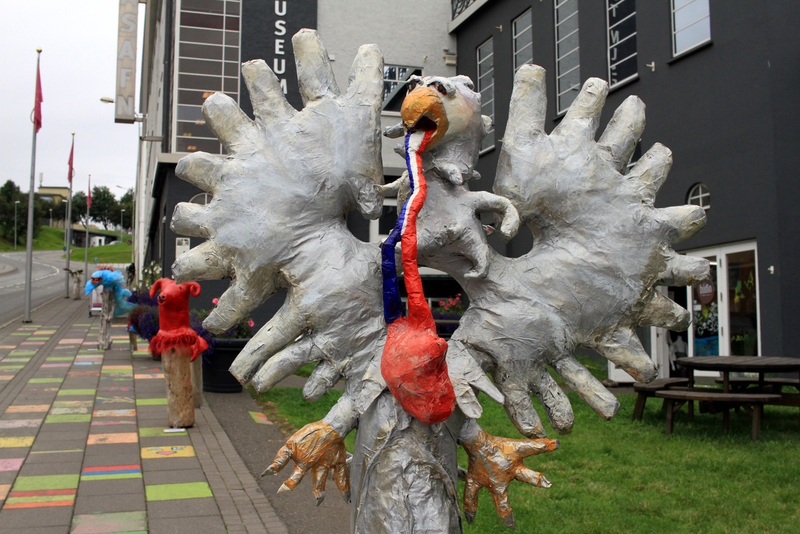 Outside the Akureyri Art Museum - I can only assume this is some artistic commentary on American politics. 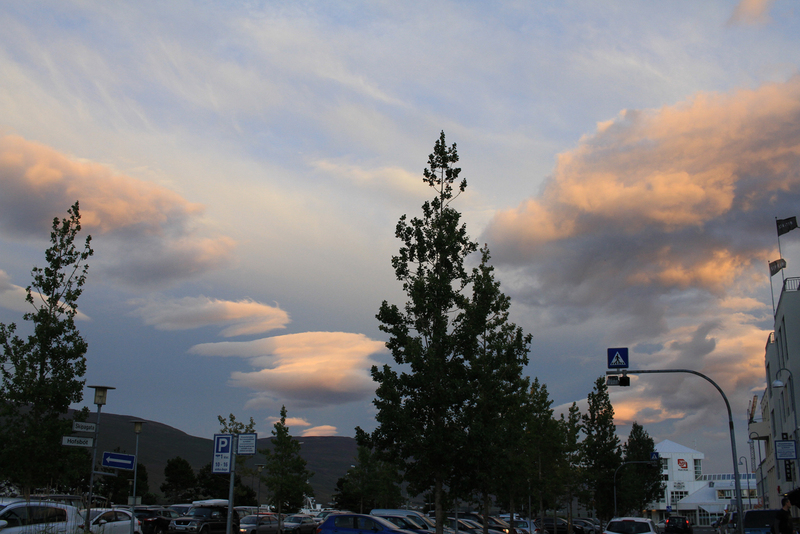 The clouds in Iceland are magical literally all the time, and sometimes you have to stop in a parking lot to capture it. 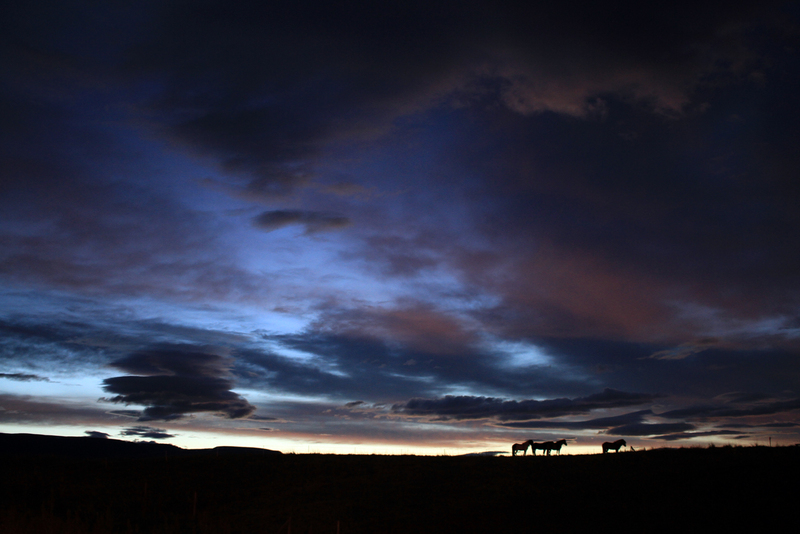 Icelandic horses silhouetted against the sunset. 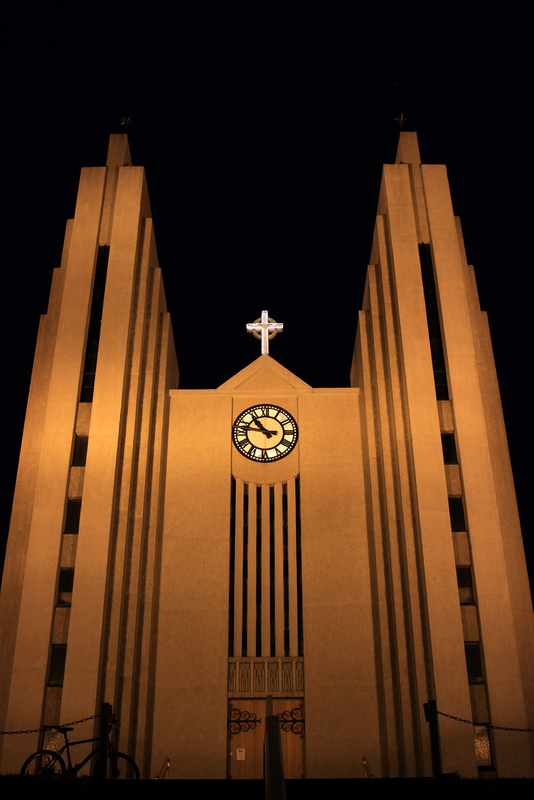 Akureyrarkirkja, or the Church of Akureyri, lit up at night.